17 Dec 2018 --- Eisai has granted Brazilian pharmaceutical company Eurofarma the exclusive marketing and development rights for lorcaserin, an anti-obesity agent, in Brazil. Eisai reports the move will provide the means to leverage Eurofarma’s strong business foundation throughout Latin America to accelerate the delivery of lorcaserin to more patients. In October 2018, Eisai signed an agreement to grant exclusive development and marketing rights for lorcaserin in 17 countries in Latin America and the Caribbean, excluding Brazil. The weight-loss drug has previously been tipped by some experts as a “holy grail” in the battle with obesity. The comments followed research results which found that for the first time, a weight loss drug had done its job without increasing the incidence of heart attacks, strokes and death from heart disease in a population of people who are especially at risk for cardiovascular events. Historically, many weight loss agents have had adverse cardiovascular effects, leading to dangerous conditions such as strokes, heart attacks, pulmonary hypertension and valvular heart disease. This has resulted in many being withdrawn from the market. Lorcaserin was approved in 2012 by the US Food and Drug Administration (FDA) as an weight-management agent for obese and overweight adults with the presence of at least one weight-related, co-morbid condition. It was approved in Brazil with the same indication as for the US in 2016. 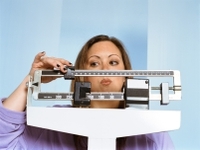 Weight-loss agents could be one route in addressing the world’s rising obesity levels. According to a recent report published in CA: A Cancer Journal for Clinicians, excess body weight has been steadily rising in numbers since the 1970s, and by 2016, nearly 40 percent of adults and 18 percent of children (5 to 19 years old) had excess body weight. This translates to almost two billion adults and 340 million children globally. The steepest increases are found in low and middle-income families, which is a result of lack of physical activity and poor dietary choices.